Highest standard, fully titled, top level breeding, top-world-champion working line German shepherds. Working line German shepherd puppies for Police work, Tracking, Cadaver Detection, Working Dog, Sport Dog, Guard Dog, Naturally Family Protection Dogs! These dogs were bred for this purpose, absolutely clear in the head, have the natural desire to work. WE HAVE OVER 450,000 LIKES & FOLLOWERS ON FACEBOOK! WITH AN "A" RATING, OVER "600 REVIEWS & RECOMMENDATION" ON FACEBOOK WITH 4.6 SCORE! Working line German Shepherd puppies imported from Germany. 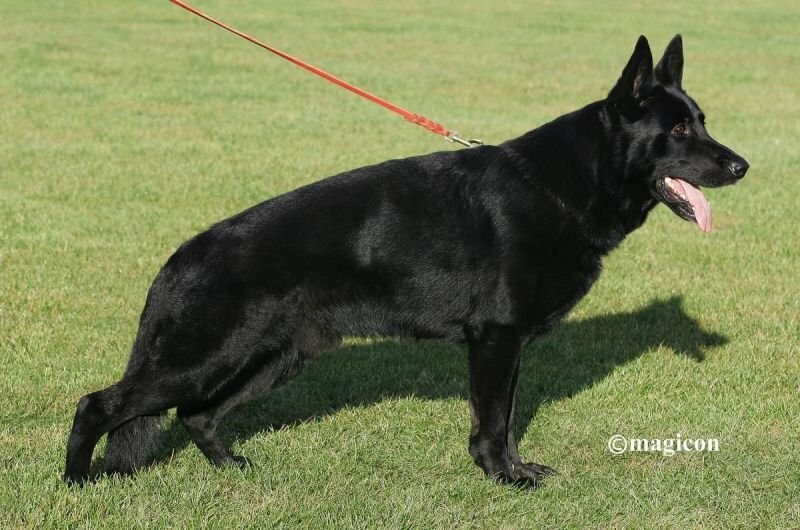 TITUS, is fully schutzhund titled, tracking title, strong and spirted stud, strong and powerful masculine structure, nicely pigmented (Pure Black), large in size with very impressive schutzhund trial score of 95/97/100, that's a super score! FRIEDA, nicely pigmented (Pure Black), very confident female, medium-size, strong, powerful, strong and powerful movement, with world class working pedigree.Both dogs are excellent in character, friendly in nature, Sound in temperament, clear in the head. Shipping is not included in the purchase price, please refer to our shipping page.